It follows a marked decline in the standard of many roads over recent years associated with some of the worst weather on record – the December of 2010 was the coldet for one hundred years. The review says that local authorities are doing what tey can to tackle the problem of poor road quality and are tring to make efficiencies but they are hampered by a lack of economic appraisal methods to judge the value of the work they carry out and a range of approches to tackling the problem between councils. The review also recognises that there is unlikely to be any extra money for fixing potholes in the near to medium term. “We welcome this report into what is a perennial hazard for drivers and other road users. “The study reveals there is not even have a national standard to define what a pothole is. Then when councils do identify problems they all have different approaches to dealing with them and no reliable appraisal method to decide whether it is best to spend money filling in the worst holes first or instead prioritise preventative maintenance. 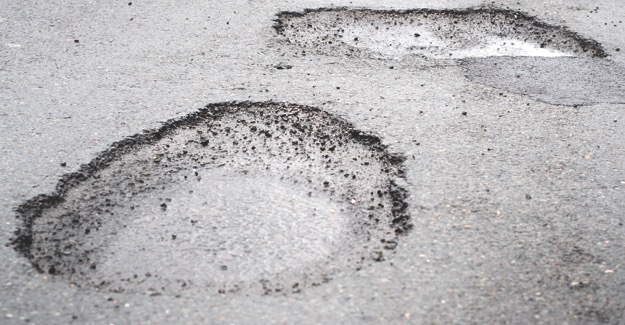 The report says that there is guidance that a fault in the road surface needs to be at least 40mm deep before it can be defined as a pothole. “In the past we have been critical about being over-presriptive when it comes to identifying problems. Common sense has to come into play. However there is much to be said for a standardised, best-practise, approach to locating trouble spots and fixing them. “The authors of the report remind councils of their legal responsibility to make roads safe, but at the same time warns that the budgets needed to achieve this will at best be frozen (in reality we know they are to be cut). Even with the endeavours of local authorities to make efficiencies it is unlikely road conditions will improve significantly if there are not the funds to clear the current huge backlog of work. “Many of our local roads are fragile having evolved over many decades, accumulating a variety of surfaces along the way, rather than being constructed using the latest materials and design standards, and thus resilient to increasing amounts of severe weather.